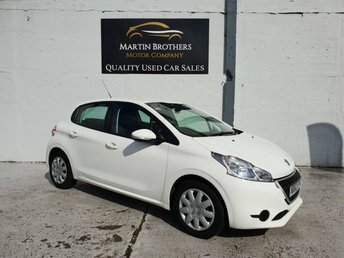 THIS COMPACT STYLISH VEHICLE COMES TO YOU WITH TWO FORMER KEEPERS IN THE V5, TWO KEYS AND FULL SERVICE HISTORY, THE VERY LOW INSURANCE GROUP OF 3, ZERO TAX AND A FANTASTIC 66MPG AVERAGE MAKES THIS A IDEAL FIRST CAR OR GREAT UPGRADE FOR ANYONE WANTING LOW RUNNING COSTS. 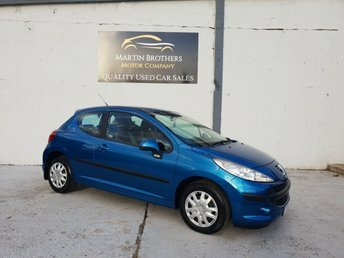 For the best deal on a second-hand Peugeot, make your way to Martin Brothers Motor Company Ltd in Hebburn at a time that suits you. As one of the world's most trusted car makers, Peugeot has risen in popularity, earning itself a credible reputation for performance and agility. At Martin Brothers Motor Company Ltd there are plenty of finance options available and our relationships with high street lenders means that we can secure a fair and affordable deal customised to you, even if you have a bad credit history. 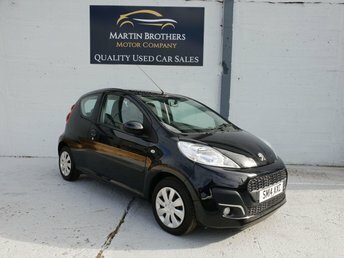 We are proud to stock a good selection of quality second-hand Peugeot's, from the small 208 city car to the much larger 3008 SUV. Browse the range on our website now!